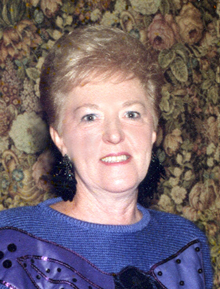 Elizabeth O'Brien (Wall), of East Boston, age 85, passed away on March 13, 2018. Going home to her husband Edward R. O'Brien Sr. whom she was married to for 54 years and Rosalie Wall. Beloved mother of Edward O'Brien Jr. and wife Judith of Pittsfield, James O'Brien of East Boston, John O'Brien and wife Mary of Saugus, Paula Griffin of East Boston, Mark O'Brien and wife Jane of Wells, Maine, Robert O'Brien and wife Brenda of Tewksbury and David O'Brien of East Boston. Cherished grandmother of 14 grandchildren. Adored great-grandmother of 7 great grandchildren. Family and friends will honor Elizabeth's life by gathering on Monday March 19th at 11:00AM at the St. Joseph - St. Lazarus Church 59 Ashley St., East Boston for a mass in celebration of her life.